CONTACT 1: Millennial Celebration of the Eternal Choir at K'al Yne, Odan, a photo by !snap! on Flickr. This has got to be the most awesome microscale LEGO MOC in existence! 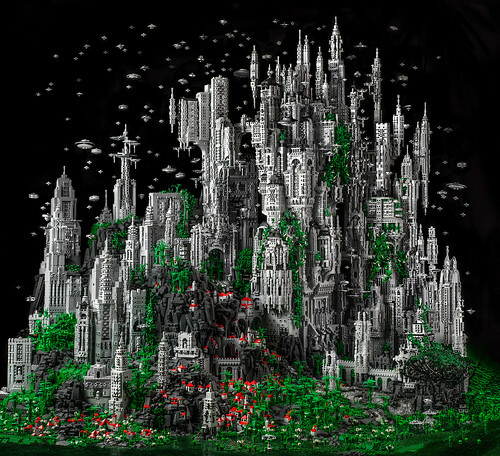 The incredible size, and unbelievable detail make this a must see for any fan of LEGO!